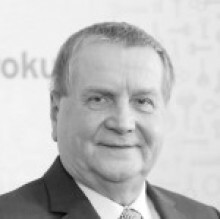 Dr Velebný undertook graduate studies in Biochemistry at Masaryk University in Brno in 1972, was awarded his Ph.D. in 1980, and became associate professor in 2012. In 1990 he founded the first of the companies Contipro. Nowadays he is CEO and R&D Director of Contipro holding, the world's leading manufacturer of hyaluronan. He is author or co-author of 77 scientific publications and 51 patents. He participated in the creation of the new study program Chemistry for Medical Applications at the Technical University in Brno. He regularly lectures at the Technical University in Brno, Masaryk University and the Academy of Sciences.